Everyone knows what a garage door is. You can’t drive down a residential street anywhere in the country without seeing at least one. What don’t most people know? 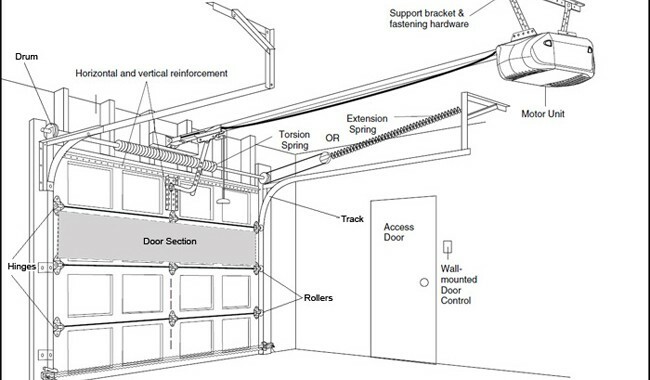 How a garage door works. How to maintain them. How many different kinds of garage doors there are. When they should be replacing it with a new garage door installation, That is why Clarks Garage Door & Gate Repair decided to make an introduction to garage doors! So if you are looking for a garage door, want to become a garage door repairman, or are just curious, this beginners guide to garage doors is for you! How Does A Garage Door Work? The question above is the first question people ask. Sure, it goes up, and then it goes back down, but there is more to it. First, you will notice that garage doors sit on metal tracks with garage door rollers. These rollers allow them to safely and smoothly (in most cases) move up and down. Overhead garage doors have garage door springs. What is the purpose of these springs? We are glad you asked. They balance out the weight of the garage door against gravity. That allows you to lift it and lower it by hand even if you’re not a bodybuilder. It also makes it easier for electric garage door openers. The lighter load not only makes them last longer but also saves a bundle of cash on the monthly electric bill. We’re not talking about style here. At least, not necessarily. Residential garage doors are either sections of panels or one big panel or even two big panels. Some garage doors have a panel or two of glass to make a window that creates natural light in the garage. These garage doors have a vertical and horizontal track. Also, they have cable drums, a torsion bar with springs or extension strings. A standard sectional garage door will have four to five panels. Depending on your wants and needs, look at how different types of garage doors will work for you. Some garage doors swing up as one big panel. Others quite literally roll up, though those aren’t as popular these days. There are even electric garage doors that open like barn doors. There are so many options here, make sure you consider them all before settling on one. When it comes to garage door styles, you have a lot more to choose from than you probably think. There are wooden, steel, aluminum and glass garage doors. All four of those have several variations. We’ll run through the basics of them without getting too complicated. Wooden garage doors are not known for rotting, as long as maintenance properly. They are made of treated wood, and you can paint them whatever color you like. You can even engrave designs on them. Steel and aluminum garage doors are typically the same. They can both be painted. Also, aluminum weighs less but is also less durable. Glass garage doors are fancy to the eye and made with impact resistant glass. That does not mean they won’t break at some point. Obviously, you’re not going to paint a glass garage door. There is also a fifth type of garage door; Vinyl. These garage doors are often the cheapest garage doors to own, but they are not very customizable. You want it a different color? You have to buy a new one. Garage Door Installation By Clarks Garage Door & Gate Repair! (877) 622-8183 is the number to call if you need a new garage door installed. We also handle garage door repair services. 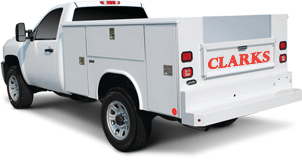 If you live anywhere in Los Angeles, Santa Monica, Dallas, Chicago, San Francisco, Phoenix or any other metro area across the U.S. Clarks Garage Door & Gate Repair is your one-stop shop for garage door services. We are fast, accurate and affordable. What Radio Frequencies Can Interfere with Your Garage Door?